I don’t live in a rainy climate. I don’t commute. I don’t normally do long rides in the rain. I don’t take rides that last so long that the weather changes much. They’re hard to install, make it harder to cram the bike behind the seat of my truck, and weigh more than nothing. Look how low that front fender goes. Notice how much lower it is than the bottom bracket. I can’t go off a standard curb without bashing the bottom of the fender. But I’m still reconsidering fenders. Really, man, how DARE you pondero the pure wonderfulness that is the bicycle fender?I live in a world of cyclists with muddy stripes up their backs; I don't care where you live or how infrequently it rains or any of that. When you question the fender, you question my whole worldview.I need to go meditate or something now. Thanks a lot. Oh, yeah, he heh heee! I think I'm going to leave Madeleine fenderless. Even commuting, most days it is pretty nice out. Forgive me, RANTWICK. Now that I've slept on it, I must admit that the bottom bracket was the only muddy spot on the bike, and a mudflap would have prevented that. I guess the fenders will stay awhile. To me, your bike has a distinct look. The lines,seat,bag. It's kind of an elegant,old school feel. I think the fenders accentuate it. So just based on aesthetics, I like them. Mr. Pondero – It's JUST a bicycle!! In my experiences, yes, fenders help, not just with rain but also with dust and dirt. 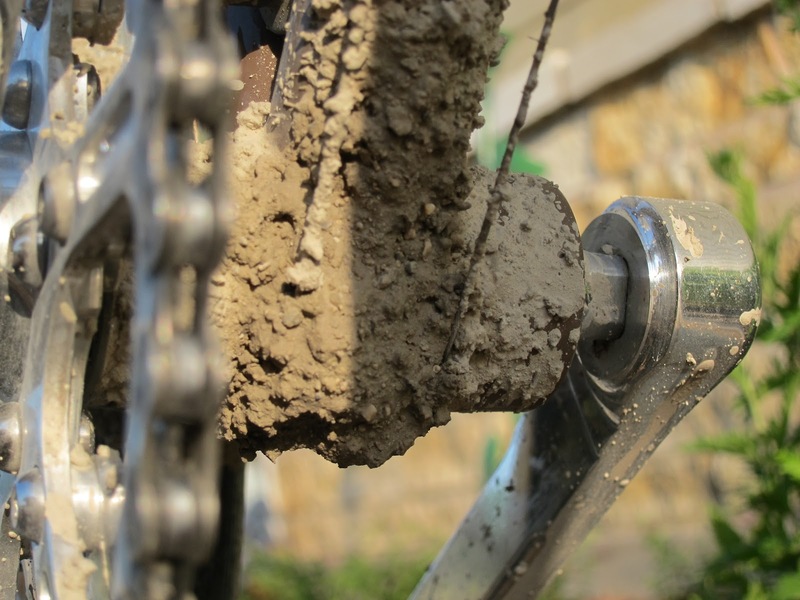 However, thick mud like you showed, well, a mudflap would probably help, but you can't ride through mud without getting dirty. I like fenders, but my mountain bike just has a clip-on plastic rear fender and my road bike has clip-on fenders which in practice I never really use. I guess I think it's important to have at least one bike with fenders, though. I have One Ahem… Mudguard on my bike on the rear during winter just to stop that cold wet crud hitting where you don't want it, other than that you need to be fenderless ( mudguard free ) in my opinion. Wasn't your A.H.H. fenderless? How did that work out for you? 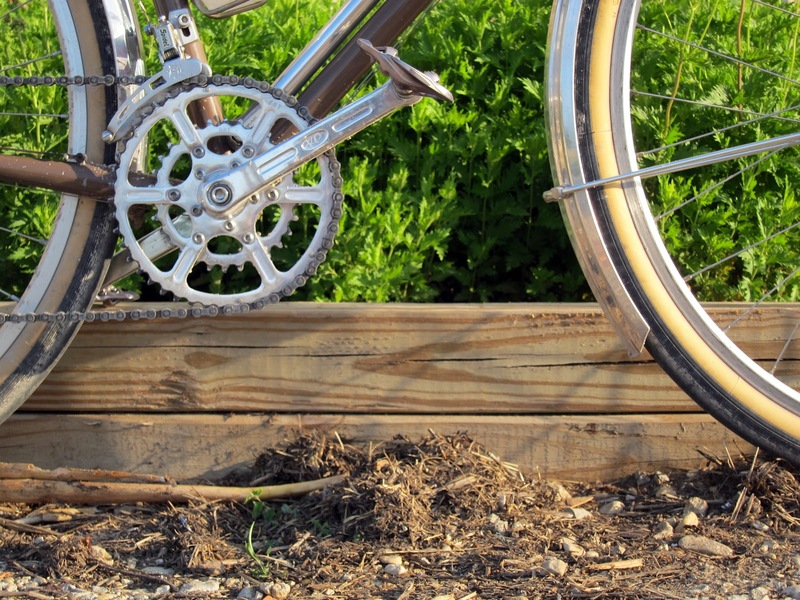 I kind of like the idea of fenders for even dry gravel roads thinking it might help keep some of the tiny bits of gravel from being picked up and thrown on the frame; preventing chipping the paint. Mudflaps would probably be necessary though. One of my bikes has the SKS Longboard fenders and it seems to do a pretty good job of it. I live in Tucson, and have one of my bikes (a Rivendell Road Standard) equipped with Honjo fenders. 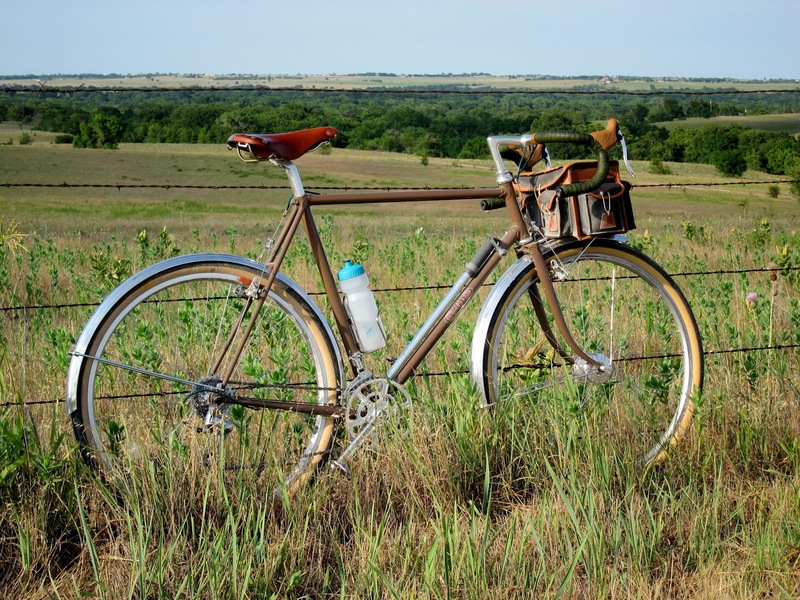 I don't consider fenders to be very necessary in our arid climate, but I like them from an aesthetic perspective (photo: http://www.flickr.com/photos/37964304@N05/7346058358/sizes/h/in/photostream/The rear fender also serves as a useful mounting point for a rear light, like the PDW Fenderbot. I think fenders become more useful for group rides in climates with more rain. Like Seattle! Good question. The fenders are slick the way that the bolt on fenders on a 1950 Plymouth P19 look slick. But do ya need em' where you live? I'd leave them on. Can't hurt and they look nice. I'm a fender fan myself. I think that especially nice fenders add to the overall aesthetic of the bicycle, and every time I end up hitting a patch of roadway that has even a little water, there's a little grin that goes on inside and makes me feel like "I win". I live in a regularly wet climate – so they keep my feet drier, my face cleaner, avoid back stripes and keep my luggage cleaner. Keeping the bike cleaner is moderately important (rising to very important in winter when there is salt on the roads).For generally dusty conditions I guess they may keep your face cleaner and the top of that drinks bottle too. those fenders are beautiful. i started reading from the most recent posts, so to me, that bike has always had fenders, and i can't imagine it without them.